Spark is a compact, high resolution video measurement system for manufacturing quality control. Spark excels at measuring fine features, and provides high accuracy part measurements using advanced optics and illumination. 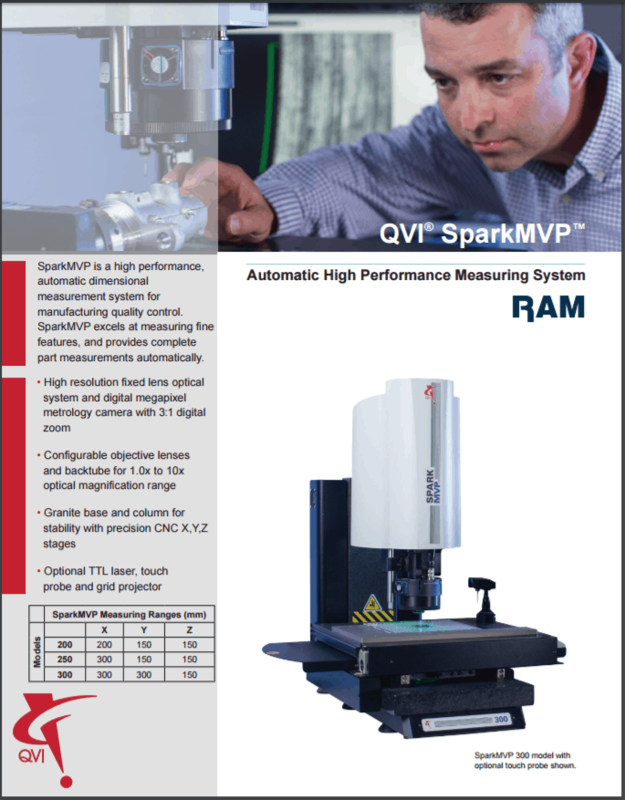 The Spark MVP automatic, non-contact dimensional measurement system with powerful fixed-lens optics excels in the precise measurement of even the smallest parts. Fine feature measurement has never been so simple- with interchangeable front objective lenses that allow easy adjustment of the magnification and field-of-view size. Providing a constant working clearance, the Spark MVP’s optical system avoids offsets between the optical centreline and the optional TTL laser. Thus, reducing the need for stage movement and faster measurements overall. Spark MVP systems have integrated full-function Measure-X software. 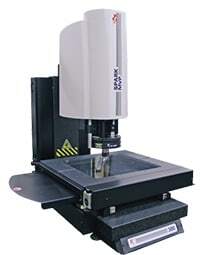 With an extensive array of measurement tools, including video autofocus, motorised zoom, and high-level edge detection, Measure-X metrology software can measure fine part features with ease. -Optional Vu-Light high intensity ring light.